Congratulations Alexander Zverev for winning the Men’s Singles by producing a dashing display of power and guile to stun Djokovic and become the first German since 1995 to lift the ATP Finals trophy. Not forgetting our Doubles champions, J. Sock and M. Bryan, a very big congratulations to you both on your win! 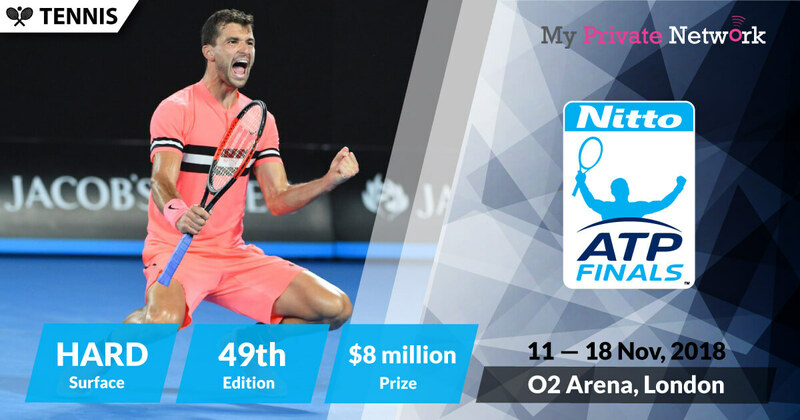 As all the Grand Slams this year come to a close, it’s time for the season-ending championships — the 2018 ATP Finals (also known as the Nitto ATP Finals for sponsorship reasons), which will be held at the O2 Arena, London. 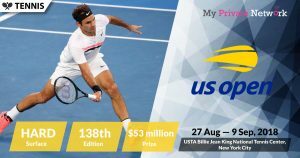 The all men’s tournament will mark it’s 49th edition (44th for doubles) and features the highest-ranked singles players and doubles teams from the latest ATP World Tour. The tournament begins from 11 — 18 November. 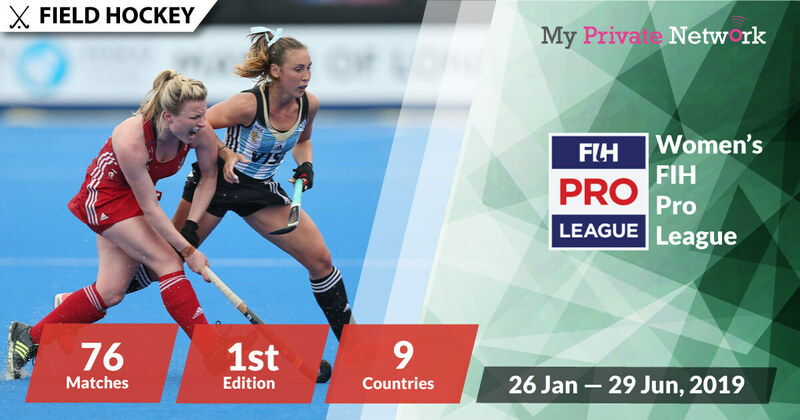 Finals weekend will be on the 18th of November and full live coverage with highlights will be available from many providers such as Tennis TV (Global), the BBC and Sky Sports (UK), ESPN (USA), TSN (Canada), SuperSport (South Africa), and many others. The providers in this list with links have been tested to work with our VPN. Click on any that you prefer to quickly access streaming instructions. Click here for the full list of official ATP Finals broadcasters. Live stream starting on 11 November (Sunday) @ 12:00GMT. Know your timezones? Use WorldTimeBuddy.com if you want to check your timezone accurately. Our timezone is set to GMT+0 (BST/IST). Source: Official 2018 ATP Finals Schedule. Broadcasting rights for the ATP Finals is far reaching with almost all countries around the world providing streams in one form or another. However, if you’re not currently in your home country or your stream is geo-restricted, then you’ll need to connect our VPN to that country first before attempting to stream. 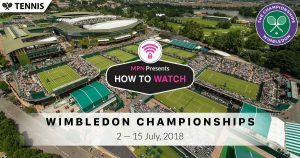 2) Install our VPN on any device that you’ll be using to watch the 2018 ATP Finals. 3) Connect to the VPN country of your favorite provider. For example, connect to our U.S (USA) servers for ESPN and the Tennis Channel or U.K (GBR) servers for BBC and Sky Sports. Watch the entire tournament from Tennis TV. However, you’ll need a paid subscription with them to access their content. Availability: Globally – There is no need to connect to our VPN before starting the stream! 1) Sign in to your Tennis TV account. Tip: ATP Finals will be airing live from 11 November on Tennis TV. BBC will be providing live coverage of the tournament for free. Whilst BBC doesn’t charge for their content, you’ll still need a BBC account to access them. Learn how to sign up for free here. Availability: U.K only – Connect to our U.K (GBR) servers first before starting the stream! Tip: ATP Finals will be airing live from 11 November 2018 on BBC One and BBC Two. Sky Sports will be providing full live coverage of the entire tournament. However, you’ll need a paid subscription with Sky Sports to access their content. Availability: U.K only – Connect to our U.K (GBR) servers first before starting the stream! Tip: ATP Finals will be airing live from 11 November 2018 on Sky Sports Main Event and Sky Sports Areana. ESPN will be providing full live coverage of the entire tournament. However, you’ll need a paid subscription with them to access their content. Availability: U.S and Australia only – Connect to our U.S (USA) or Australia (AUS) servers first before starting the stream! Tip: ATP Finals will be airing live from 11 November on ESPN. Tip: ATP Finals will be airing live from 11 November on Tennis Channel. ORF Sports+ will be providing live coverage of the tournament for free. Availability: Austria only – Connect to our Austria (AUT) servers first before starting the stream! 1) Head to the ORF streaming website. Tip: ATP Finals will be airing live from 11 November on ORF Sports+. TSN will be providing live coverage of the entire tournament. However, you’ll need a paid subscription with them to access their content. Availability: Canada only – Connect to our Canada (CAN) servers first before starting the stream! Tip: US Open will be airing live from 11 November on TSN 2, TSN 3, and TSN 4. Tip: ATP Finals will be airing live from 11 November 2018 on SonyLIV. Live matches will only be displayed accordingly when the live match starts. SuperSport will be providing live coverage of the entire tournament. However, you’ll need a paid subscription with them to access their content. Availability: South Africa and Malaysia only – Connect to our South Africa (ZAF) or Malaysia (MYS) servers first before starting the stream! 1) Sign in to your SuperSport (South Africa) or SuperSport via Astro Go (Malaysia) account. Tip: ATP Finals will be airing live from 11 November 2018 on SuperSport (South Africa) and SuperSport via Astro. StarHub will be providing live coverage of the entire tournament. However, you’ll need a paid subscription with them to access their content. Availability: Singapore only – Connect to our Singapore (SGP) servers first before starting the stream! 1) Sign in to your StarHub Go account. Tip: ATP Finals will be airing live from 11 November 2018 on Hub Sports 1. SRG SSF will be providing live coverage of the entire event for free via SRG’s SRF, RSI, and RTS channels. Availability: Switzerland only – Connect to our Switzerland (CHE) servers first before starting the stream! Tip: ATP Finals will be airing live from 11 November on SRF ZWEI, RSI LA2, and RTS deux. We hope you found this article informative and useful. 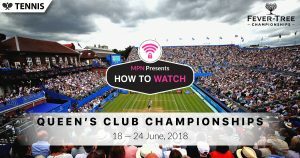 Please feel free to share it with your friends or family that want to watch the ATP Finals too!